Grant Coffield counsels clients on all aspects of intellectual property law, including the preparation and prosecution of patent applications, infringement and validity studies, patentability and right-to-use opinions, litigation support, licensing matters and trademark, trade secret, and copyright issues. His experience extends from the development, maintenance, and enforcement of patent, trademark, copyright, and trade secret rights to their protection in worldwide competition against infringement, misappropriation, deceptive trade practices, and counterfeiting. Grant also provides clients with a full range of patent-related legal services in a variety of technical fields, with an emphasis in the mechanical arts, including U.S. and international patent prosecution, patent opinions, pre-litigation counseling, due diligence of intellectual property assets, and patent licensing. He has filed and prosecuted hundreds of patent applications in the United States and, through collaboration with hand-picked counsel licensed in numerous jurisdictions throughout the world, including Canada and throughout Europe, South America, and Asia. Grant works very closely with his clients in order to develop an understanding of the unique legal and business challenges they face, recognizing that building a relationship with a client involves much more than just attending to the project at hand. While his primary area of emphasis is intellectual property law, Grant often functions as outside general counsel to his clients, working directly with C-level executives in viewing the “big picture” of the business, while developing practical and efficient solutions to the challenges and opportunities the company faces, and also constantly looking ahead to evaluate emerging markets and cutting-edge technologies. For instance, for over 12 years (and through the multiple ownership changes), Grant has represented the world’s leading supplier of two-piece can and end-making machinery for the global metal container industry. 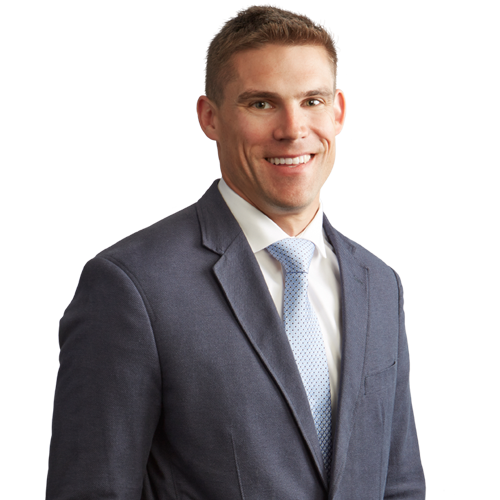 He originally handled the company’s intellectual property work, but has progressively grown in the role to act as outside general counsel, serving as the central point of contact for all legal issues within the company. His responsibilities range from IP services such as the management of a portfolio of hundreds of patents and numerous trademarks to managing and overseeing other legal matters (handled by a team of Eckert Seamans lawyers) such as the drafting of joint development, supply and vendor agreements, labor and employment issues, general corporate matters including mergers and acquisitions, and trade secret litigation. Serves as intellectual property counsel and outside general counsel for a leading supplier of capital equipment, spare parts and service for producers of beverage and food cans; also handled various due diligence and issues relating to the successful sale of the company and routinely handles various technology development, license, sale and supply agreements, among other matters. Represents an international electrical and electromechanical component manufacturer for residential and commercial applications in managing the patent portfolio, overseeing a team of patent attorneys that files in excess of 200 domestic and international applications per year in a wide range of technologies, in addition to freedom-to-operate and infringement opinion work. Counsels an international tool and die manufacturer and specialty machining company in trademark, patent, litigation and transactional work; has assisted with building the company’s IP portfolio from the ground up by protecting their name, logo, products and slogans. Represents the largest manufacturer of ventilation products and accessories in North America in connection with a wide variety of intellectual property matters. Represents the leading manufacturer of mailboxes in North America in connection with a wide variety of intellectual property matters. Enforces the trademark rights on behalf of the exclusive licensees of professional athletes and organizations. Air Vent, Inc. v. Vent Right Corp. Case No. 2:08-cv-146-TFM (U.S. District Court Western District of PA); counsel for plaintiff Air Vent Inc.; patent infringement litigation; handled all aspects of litigation through Early Neutral Evaluation (ENE). Stolle Machinery Company, LLC v. Standard Engineering Group, Inc. and Die Components, Inc. Case No. 5:2007-cv-03061 (Ohio Northern District Court); counsel for plaintiff Stolle Machinery Company, LLC; patent infringement litigation; settled. Canplas Industries, Ltd., v. Air Vent, Inc. and Marco Wood Products Inc. (d/b/a Handy Home Products) Case No. 1:05- cv-0673 (United States District Court Northern District of Ohio Eastern Division); counsel for defendant Air Vent Inc.; patent infringement litigation; settled. “Copyright: Fair Use and the Most Common Misconceptions of Copyright Law,” June 2005. “Create Act Eliminates Barrier to Collaborative Invention,” The Legal Intelligencer, May 2005. “Copyright 101,” Pittsburgh Post-Gazette, August 2003. “Should You Bother?” SmartBusiness Pittsburgh, June 2003. Grant and his wife Kelly founded and operate The Cure for Cancer Soccer Foundation, a registered nonprofit organization made up of three girls soccer teams (currently ranging in age from 9-14 years old) that play in soccer tournaments around the country to raise awareness and money for cancer research. For the young athletes playing on The Cure for Cancer Soccer Foundation teams, winning is about much more than scoring goals. The girls selected their team colors based on the cancer awareness ribbon colors: lavender for all cancers, and gold for childhood cancer. They wear a lavender ribbon on their jerseys and socks for each game. The athletes also have signatures of cancer survivors and victims on their jerseys. During each game, the young athletes leave their huddle by cheering “1, 2, 3, cure cancer!” Each athlete also plays for someone they know – a cancer patient or survivor – or in some cases, a particular type of cancer that has impacted her life. The girls have reached out to family, friends and local businesses to bring awareness and funding to their cause, and in their first year, raised over $10,000. They then worked together to select a cancer research organization to award the proceeds (100 percent of which go toward research) – in 2014, they chose Alex’s Lemonade Stand. Grant’s background in athletics – as a punter and kickoff specialist for the University of Pittsburgh Varsity Football team, where he earned honors as a member of the Big East All-Academic Team – have come in handy through his many pursuits in coaching youth sports, including soccer and basketball.